We're looking for experienced engineers with a demonstrated ability to architect, code and maintain iOS applications with complex requirements while minimizing code duplication across multiple platforms. You thrive on solving new problems with capable teams and approach software engineering as a craft, not just a job. PrestoQ offers the unique challenge building an experience that spans enterprise services and consumer applications within the physical environment of a retail store. We are working on a set of problems that require the best software engineers in the industry to get right. Our engineers are the pillars of the future of the company and they are treated and compensated as such. We're a small team of experienced industry professionals building an organization that can solve tough problems and values a collaborative environment. With over $1.2 trillion in annual sales, grocery is the final frontier of retail not yet disrupted by technology. 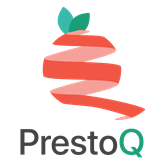 PrestoQ is an early stage startup with real clients building the technology platform that supermarkets will use to compete with the online giants who have conquered other retail markets. PrestoQ makes it cheaper, easier, and faster to shop at your local grocery store while improving profitability for the store. Want to get notified about new jobs at PrestoQ?